There’s a good chance that you’ll need to use your hoist in multiple places around a worksite, or maybe even between multiple worksites. It’s important that you always move equipment safely and properly to avoid any unnecessary damages or harm to yourselves or the objects that you’re working with. 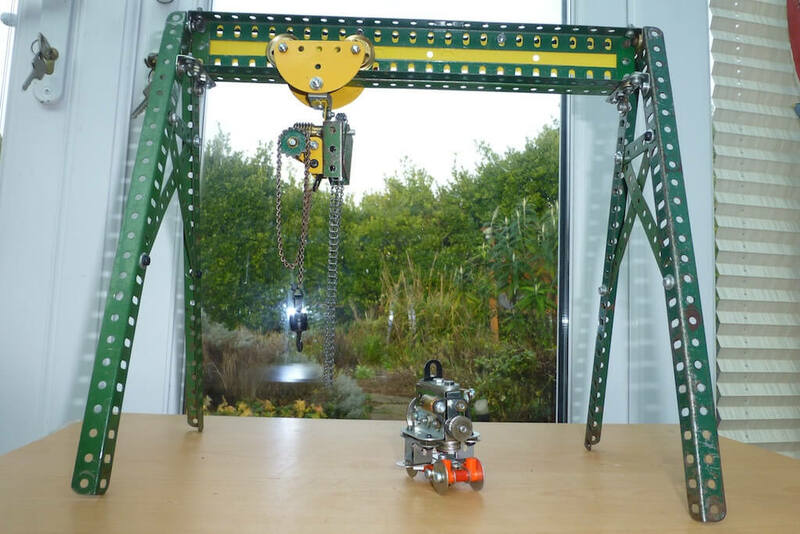 Here we’ve explained a little more on how to move hoists safely. You must never move a hoist that has a load attached. A hoist is designed for lifting and lowering tasks, and all specifications and guidelines are worked out based on this. Moving a hoist that has a load attached hasn’t been accounted for, and can have unexpected and potentially harmful results. This also goes for any other piece of lifting equipment that you may own. You must complete all operations before attempting to move your hoist. This partly involves ensuring that no load is attached as described above, but it also means that your hoist itself isn’t in operation either. For example, electric hoists run off an electricity supply and air hoists run using pumped air, so it’s important to check that your hoists are unplugged and safe to move. Lifting hoists work in conjunction with other pieces of lifting equipment such as cranes, and, tying in with the two points that we’ve mentioned above, it’s important that your equipment isn’t moved while it’s still in operation or attached. While you can safely move a crane that has a hoist attached (but without a load! ), it is much safer to disassemble the hoist from whatever it’s attached to (if it’s portable) before attempting to move it. Some hoists are much more portable than others as they are lighter or smaller, typically designed for tighter spaces. Before you purchase a hoist, think carefully about what exactly you’ll be using it for. If you know that you’ll be moving your hoist around a great deal, perhaps it may be better and safer to choose a lighter model. Some hoists are made up of many parts and components, while others contain intricate internal electronics, so it’s important that you take care when handling your hoist so that you avoid any damage to it. You don’t want to have to replace it unnecessarily! Take care of yourself when moving a hoist! You’re also made up of many parts and components, so you need to look after yourself too! It’s always important to take care when conducting any lifting or lowering operation of any piece of equipment, no matter how light, being sure that you don’t put unnecessary strain on your back and that you lift said equipment in an appropriate and safe fashion. Rules and guidelines are in place for a reason, and you can’t go much wrong by sticking to them. Things such as the Lifting Operations and Lifting Equipment Regulations 1998 (LOLER) and moving equipment safely at work are good and thorough guidelines that you can follow to help you move hoists safely. We would also recommend reading LOLER in-depth as it contains a host of other information when it comes to the lifting equipment and lifting operations industry. Following the simple guidelines above are a sure fire way to avoid any unnecessary accidents in the workplace, but if you would like to discuss things further about how to move hoists safely, you can reach us here.